Luisa Ungar (b. Bogota, Colombia) studied visual arts in Bogotá, and has an MFA from Sandberg Institute, Amsterdam. Her recent work deals with narratives involving animality and the non-human in colonial circuits. Looking at mechanisms that question ways in which history is constructed, she often seeks to connect archived or academic material with everyday popular use, unveling the role of the expert by making room for improvisation, association, gossip and chaos. Her varied projects range from zoo visit guides to educational projects, using performance, drawing and text. 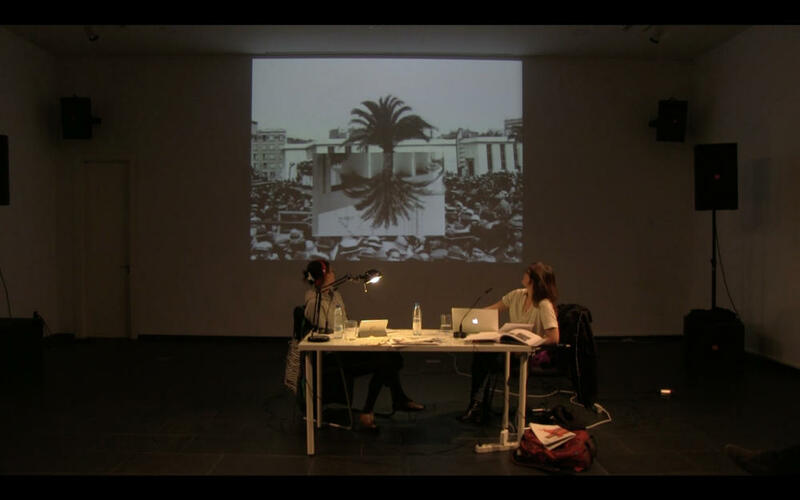 Her work has been shown and performed at different venues such as Mercosul Biennial in Porto Alegre; Centro de Arte Dos de Mayo, Madrid; Marrakech Biennial Parallel project; Museo de arte Banco de República Bogotá; Rong Wrong, Amsterdam; Festival de Performance de Cali; Spring Workshop, Hong Kong; Bienal Sur, Rosario.She has been co-editor of publication projects such as DISDISDIS (On vampires and other forms of conviviality), and Proyecto Asterisco. She has been a resident at Gasworks, TRain Residency in London; RESò, Italy, AIR Antwerpen, and Maebashi Arts Center, Japan. Since 2013 she has been making collaborative work with Milena Bonilla. Milena Bonilla was born in Bogota, Colombia, and she currently lives and works in Amsterdam, The Netherlands. Her work dives into political complexities among humans, language, and living entities in order to trace and map the cracks that those interactions have left in silence through the sedimentation of predetermined logics and beliefs. The artist uses a variety of media in her production including installations, video, performance, drawing, text, public interventions and photography. Her work has been shown and performed in different international venues including Museo d’arte Contemporanea MACRO, Rome; Kadist Paris and San Francisco; Rijksakademie van beeldende kunsten, Amsterdam; The Mistake Room, Los Angeles Ca. ; Rijksmuseum, Amsterdam; Ar/Ge Kunst, Bolzano; The Jewish Museum, New York; MAMM, Medellín; Spring Workshop in Hong Kong; CA2M Madrid; MNBA, Buenos Aires; The Photographer’s Gallery and the International Institute of Visual Arts in London; Witte de With in Rotterdam; Konstall C, Stockholm; Marrakech and Shangai Biennial’s parallel projects, and the 12th. Istanbul, 10th. Havana and 3rd. Bucharest Biennials. Milena Bonilla is currently a recipient of The Work Award Proven Talent, given by the Mondriaan Fonds in The Netherlands.